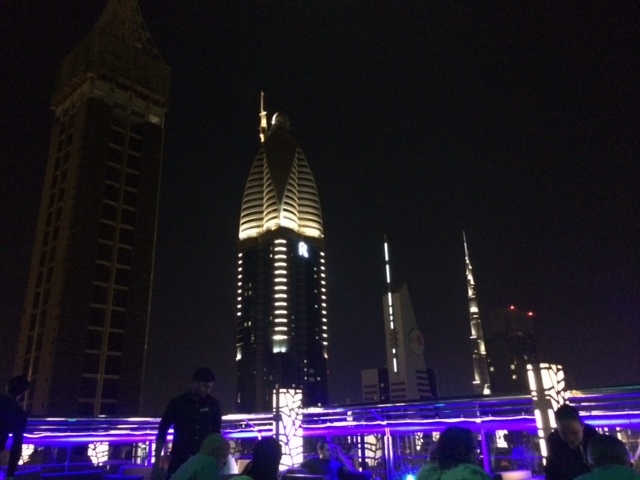 This is one of the outstanding views from the Sky Lounge rooftop bar @FourPointsbySheraton on Sheikh Zayed Road! We popped by on the weekend and had to share it with you!! As soon as you walk out the lift into the corridor there is a mysterious, fun and relaxed vibe. The theme colour (Purple) is prominent throughout and this creates a great atmosphere through the lounge and outside bar. As we walked to the bar we were greeted by friendly staff and seated outside. The view on all corners was stunning, and we loved the view of the Burj Khalifa, but it didn’t look so big from where we were sitting! (The art of physics eh? )- The further a building, the smaller it looks! The seating arrangement inside and outside is perfect for a quick drink before heading somewhere to dance the night away, or those relaxed evenings with a group of friends! 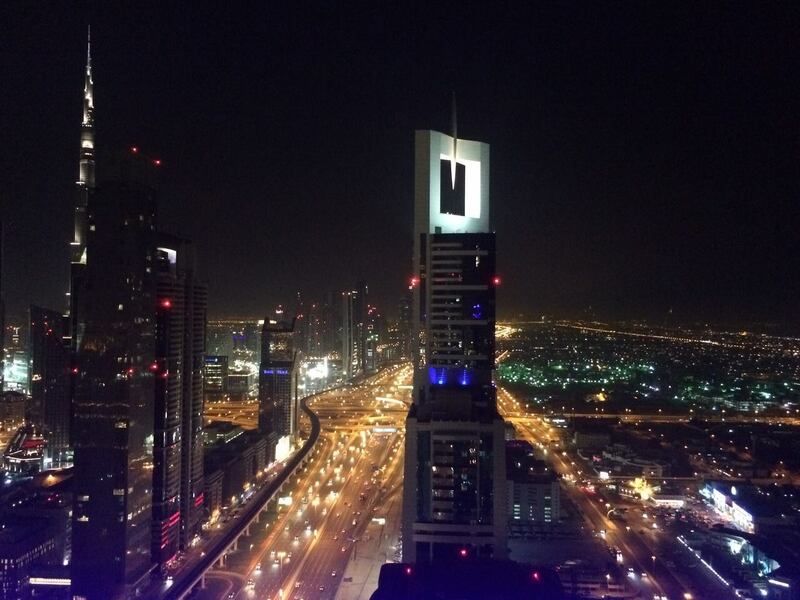 They even have two seater tables for those more intimate nights, with a view! The ambiance and music genre is varied and has obviously had some thought put it into it! The place filled up quite quick, and we were there around 10.30pm… groups, couples, young and old… the crowd added to the whole ambiance! The friendly staff were very accommodating and conversational, in terms of having that little natter when ordering and suggesting, they were very welcoming! So if you are looking for a place this weekend, whether it’s just a nice intimate drink, or a friends catch up session or even having a few drinks before you head out dancing, this sky lounge bar is the place to be! They also have themed nights like ladies night on Tuesday and happy Mondays!